We actually agree with that sentiment, and our artists have already mocked up some changes they’d like to make to this skin in an upcoming patch. You can see those changes in a before/after side-by-side here. The goal is to bring the in-game skin more in line with how Hanzo looks in our "Reflections" comic from last year. We don’t have a solid ETA on when these changes will get patched in, but we know it won’t be until sometime in January. 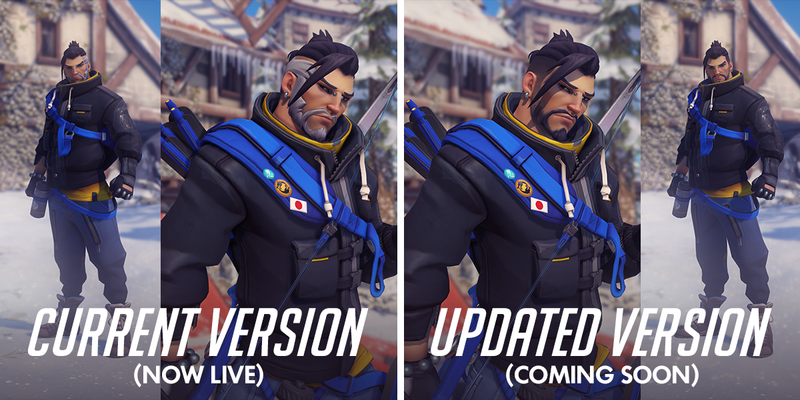 Whenever they are patched in, however, the changes will be retroactive—which means that anyone who unlocks Casual Hanzo during this year’s event will see the updates whenever they go live.